Home » My Practice » Frank M Phillips, M.D. 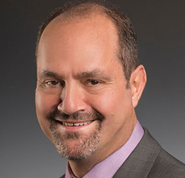 Dr. Frank Phillips serves as Director of the Division of Spine Surgery and a Professor of Orthopaedic Surgery at Rush University Medical Center. He has been named one of the top 28 spine surgeons in the country by his peers in Orthopedics this Week and was voted among the top 10 to 15 percent of Top Doctors in America by U.S. News and World Report and Castle Connolly. A visionary in the field of minimally invasive spine surgery, Dr. Frank Phillips was one of the first in Chicago to begin using these procedures in the 1990s. He specializes in minimally invasive cervical and lumbar reconstructive surgery. 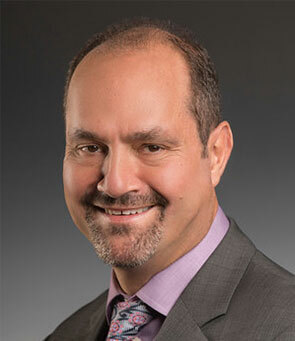 Dr. Phillips has participated in the development of and pioneered a number of minimally invasive spinal techniques that are now widely used. He is also a leader in motion preserving procedures and was a principle investigator in FDA trials on cervical disc replacement. Dr. Phillips delivers lectures to and teaches spine surgeons nationally and internationally. Before coming to Midwest Orthopaedics at Rush in 2003, Dr. Phillips served as the director of the Spine Center at The University of Chicago. Dr. Phillips is currently a Professor of Orthopaedic Surgery and Director of the Division of Spine Surgery at Rush University Medical Center. He has published and lectured extensively, received numerous research awards and grants and frequently directs spinal educational courses for other spine surgeons. Dr. Phillips was recently named one of the top 28 spine surgeons in the country by Orthopaedics this Week and is listed in Becker's Orthopaedic Spine and Pain Management as one of the nation's Top 100 spine surgeons and specialists. A medical graduate from the University of Witwatersrand, Johannesburg, South Africa, Dr. Phillips completed his Orthopaedic residency at The University of Chicago Medical Center. In addition, he served a spine fellowship at Case Western Reserve University School of Medicine. He is board certified by the American Board of Orthopaedic Surgery. Intradiscal electrothermal annuloplasty to treat discogenic low back pain: Preliminary results of a multi-center prospective cohort study. Early outcomes of the first 1471 consecutive kyphoplasty procedures in the United States for fixation of painful osteopenic vertebral body compression fractures. Initial outcomes following PCM arthroplasty for the treatment of symptomatic cervical spondylosis: Results of a prospective, randomized, multi-center study. Lower Incidence of Dysphagia with Cervical Arthroplasty compared to ACDF in a Prospective Randomized Clinical Trial. Preclinical study of human allogenic amniotic membrane as a barrier to epidural fibrosis in the early wound of a post laminectomy rat model. Why don’t annular defects heal? Does interposed nucleus pulposus prevent healing? An in vivo study. Phillips FM, Gilder K, Howell KM, Geisler FH, Chaput C, Reah CJ, DeVine JG, McAfee PC. A Prospective, Randomized Clinical Investigation of the PCM Cervical Disc: Five year results from the US IDE study. Singh K, Nandyala SV, Marquez-Lara A, Fineberg SJ, Oglesby M, Pelton MA, Andersson G, Phillips FM. A perioperative cost analysis comparing single-level minimally invasive and open transforaminal lumbar interbody fusion. Phillips FM, Phillips CS, Wetzel FT, Gelinas C: Occipito-cervical neutral position: Possible surgical implications. Spine 24(8):775-778, 1999. Wetzel FT, Brustein M, Phillips FM, Trott S: Hardware failure in unconstrained lumbar pedicle screw system: A two-year follow-up study. Spine 24(11):1138-1143, 1999. Wetzel FT, Hassenbusch S, Willis KD, Phillips FM: Failed Back Surgery. Biomechanics 6(11):51-62, 1999. Wetzel FT, McNally T, Phillips FM: Lumbar Discography. Seminars in Spine Surgery, 13(4):268-274, 2002. Phillips FM, Reuben J, Wetzel FT: Intervertebral disc degeneration adjacent to inter-transverse lumbar spine fusion - An experimental rabbit model. J Bone Joint Surg, 84(2);289-294, 2002. Phillips FM, T Wetzel, Lieberman I, M Campbell-Hupp. An in vivo comparison of the potential for extra-vertebral cement leak after vertebroplasty and kyphoplasty. Spine, 27(19);2173-2177, 2002. Wetzel FT, McNally T, Phillips FM: Intradiscal electrothermal therapy used to manage chronic discogenic low back pain. Spine, 27(22);2621-2626, 2002. Phillips FM, Cunningham B: Managing chronic pain of spinal origin after lumbar surgery: The role of decompressive surgery. Spine, 27(22);2547-2553, 2002. Phillips FM, Pfeifer BA, Lieberman IH, Kerr EJ 3rd, Choi IS: Minimally invasive treatments of osteoporotic vertebral compression fractures: vertebroplasty and kyphoplasty; AAOS Instr Course Lect.52:559-67, 2003. Paul RJ, Haydon R, Chen H, Ishikawa A, Nenadovich N, Jiang W, Zhou L, Breyer B, Feng T, Gupta P, He TC, Phillips FM. Potential use of Sox-9 gene therapy in degenerative disc disease. Spine, 15:28(8);755-763, 2003. Sun M, Cheng H, Phillips FM, Peng Y, Kang Q, Haydon R, He TC Bone morphogenic proteins and bone regeneration: From biology to clinical applications. Adv Osteopor Fracture Management 2(3);70-78, 2003. Phillips FM. Noninstrumented posterolateral fusion for patients with spinal stenosis and degenerative spondylolisthesis. Spine. 29(2): 170-2, 2004. Lieberman IH, Phillips FM, Togawa D, Modic M, Masaryk T, Obuchowski N, Slipman CW. Vertebral augmentation and the limits of interpreting complications reported in the food and drug administration manufacturer and user facility device experience database. Vaccaro AR, Patel T, Fischgrund J, Anderson DG, Truumees E, Herkowitz H, Phillips F, Hilibrand A, Albert TJ. A 2-year follow-up pilot study evaluating the safety and efficacy of OP-1 putty (rhBMP-7) as an adjunct to iliac crest autograft in posterolateral lumbar fusions. Eur Spine J. 26, 2005. Gaitanis IN, Voronov LI, Ghanayem AJ, Carandang G, Magovern B, Havey RM, Zindrick MR, Phillips, FM, Hadjipavlou AG, Patwardhan AG. Effect of balloon (bone tamp) inflation on restoring geometric and loading alignment in thoracic vertebral compression fractures. Accepted Eur Spine J, 2003. Gaitanis IN, Carandang G, Phillips, FM, Voronov LI, Ghanayem AJ, Magovern B, Havey RM, Zindrick MR, Hadjipavlou AG, Patwardhan AG. Restoring geometric and loading alignment of thoracic spine with vertebral compression fracture. Effects of balloon tamp inflation and spinal extension. Spine J. 5(1):45-54; 2005. Seldomridge JA, Phillips FM. Minimally invasive spine surgery. Am J Orthop. 36(5);224-232, 2005. Phillips FM, Bolt PM, He TC, Haydon R. Gene therapy for spine fusion. Spine J. 5(6):S250-8, 2005. Singh K, Strom J, Manning D, Campbell-Hupp M, Wetzel FT, Gupta P, Phillips FM. A prospective, randomized, double-blind study evaluating the efficacy of postoperative continuous local anesthetic infusion at the iliac crest bone graft site after spinal arthrodesis. Zhang Y, Li Z, He T-C, Thonar E, An HS, Pietryla, D, Phillips, FM. Transduced bovine articular chondrocytes affect the metabolism of cocultured nucleus pulposus cells in vitro: implications for chondrocyte transplantation into the intervertebral disc. Spine 30(23):2601-7, 2005. Singh K, Samartzis D, Vaccaro AR, Nassr A, Andersson GB, Yoon ST, Phillips FM, Goldberg EJ, An HS. Congenital lumbar spinal stenosis: a prospective, control-matched, cohort radiographic analysis. Spine J. 5(6):615-22, 2005. Vaccaro A, Anderson DG, Patel T, Fischgrund J, Truumees E, Herkowitz HN, Phillips FM, Hilibrand A, Albert T, Wetzel T, McCulloch JA. Comparison of OP-1 Putty (rhBMP-7) to iliac crest autograft for posterolateral lumbar arthrodesis: a minimum 2-year follow-up pilot study. Spine. 15;30(24):2709-16, 2005. Hughes SS, Pringle T, Phillips FM,Emery S. Settling of Fibula Strut Grafts Following Multilevel Anterior Cervical Corpectomy: A Radiographic Evaluation. Spine. 31(17):1911-1915, 2006. Frantzides CT, Zeni TM, Phillips FM, Mathur S, Zografakis JG, Moore RM, Laguna LE. L5-S1 Laparoscopic anterior interbody fusion. Submitted J Soc Laparoendoscopic Surg. 10(4):488-92. 2006. Zhang Y, An HS, Thonar E, Pietryla, D, Chubinskaya S, He T-C, Phillips, FM. Comparative Effects of Adenovirus Expressing Bone Morphogenetic Proteins and Sox9 on Extracellular Matrix Metabolism of Bovine Nucleus Pulposus Cells. Spine 31(19):2173-2179, 2006. Phillips FM, Tzermiadianos MN, Voronov LI, Havey RM, Caradang G, Renner SM, Rossler DM, Ochoa J, Patwardhan AG. Effect of the Total Facet Arthroplasty System after complete laminectomy-facetectomy on the biomechanics of implanted and adjacent segments. Spine J. 9(1):96-102, 2009. Phillips FM, Allen RT, Regan JJ, Albert TA, Capuccino A, Devine JG, Ahrens JE, Hipp JA, McAfee PC. Cervical Disc Replacement in Patients with and without Previous Adjacent Level Fusion Surgery: A Prospective Study. Spine 15;34(6):556-65, 2009. Zhang Y, Markova D, Im HJ, Hu W, Thonar EJ, He TC, An HS, Phillips FM, Anderson DG. Primary bovine intervertebral disc cells transduced with adenovirus over-expressing 12 BMPs and Sox9 maintain appropriate phenotype. Am J Phys Med Rehabil. 88(6):455-63, 2009. Phillips FM, Tzermiadianos MN, Voronov LI, Havey RM, Carandang G, Dooris A, Patwardhan AG. Effect of two-level total disc replacement on cervical spine kinematics. Spine 15:34(22):794-9, 2009. Park DK, Lee MJ, Lin EL, Singh K, An HS, Phillips FM. The Relationship of Intrapsoas Nerves During a Transpsoas Approach to the Lumbar Spine: Anatomic Study. J Spinal Disord Tech. 23(4):223-8, 2010. Park DK, Lin EL, Phillips FM. Index and adjacent level kinematics after cervical disc replacement and anterior fusion; In vivo radiographic analysis. Spine (Phila Pa 1976). 20;36(9):721-30, 2011. Tabaraee E, Ahn J, Bohl DD, Phillips FM, Singh K: Quantification of Multifidus Atrophy and Fatty Infiltration Following a Minimally Invasive Microdiscectomy. Int J Spine Surg 9(25) 2015. Goldstein CL, Phillips FM, Rampersaud YR. Comparative effectiveness and economic evaluations of open versus minimally invasive posterior or transforaminal lumbar interbody fusion. A systematic review. Spine (Phila Pa 1976). 8:S74-8. 2016. Siemionow K, Janusz P, Phillips FM, Youssef JA, Isaacs R, Tyrakowski M, McCormack B Clinical and Radiographic Results of Indirect Decompression and Posterior Cervical Fusion for Single-Level Cervical Radiculopathy Using an Expandable Implant with 2-Year Follow-Up. J Neurol Surg Eur 2016. Virk SS, Phillips FM, Khan SN. Patterns of healthcare resource utilization prior to anterior cervical decompression and fusion in patients with radiculopathy. Int J Spine Surg. 11(4):201-207 2017. Saifi C, Cazzulino A, Park C, Laratta JL, Louie P, Shillingford JS, Lehman RA, An HS, Phillips FM. National Trends for Primary and Revision Lumbar Disc Arthroplasty Throughout the United States. Global Spine Journal. Accepted July 2017. In Press. Virk SS, Phillips FM, Khan SN. Factors affecting utilization of steroid injections in the treatment of lumbosacral degenerative conditions in the United States. Int J Spine Surg. Accepted, March 2017. Virk SS, Phillips FM, Samora WP, Khan SN. The use of MRI and plain radiographs among adolescents with back pain and adolescent idiopathic scoliosis. Int J Spine Surg. Accepted, May 2017. Jain N, Himed K, Toth JM, Briley KC, Phillips FM, Khan SN. Opioids delay healing of spinal fusion: A rabbit posterolateral lumbar fusion model. Spine J. Accepted, April 2018.